It is the great favor of Almighty Allah that He originated everything, created mankind and subjected all things for the benefit of His slaves. He (SWT) perfected the religion for us, completed His favor on us and has chosen Islam as a complete code of life for all humanity in common and for His devoted slaves in special. Islam has relatively few holidays compared to most other religions; nevertheless, these sacred days, festivals and times are very vital to Muslims. Religiously and traditionally, Muslims celebrate two major festivals. Eid Al Fitr and Eid Al Adha. The former is celebrated on the end of fasting month Ramadan and the latter one is celebrated on 10th Dhul-Hijjah, the month of Hajj. On the other hand, it is the nature of every human to seek and achieve happiness in his/her life. Some struggle to gain material happiness in this worldly life rather than religious happiness, thinking that such happiness will be enough for them and will cause mental and physical peace and tranquility. But in reality this type of happiness will cause pain and sorrow both in this worldly life and in the Hereafter. Being happy and achieving the happiness of Allah on Eid Al Adha one should follow the religion and the teachings of our beloved Prophet (PBUH). Fulfilling the commandments of Islam is the only source of obtaining Allah’s pleasure and happiness both in this world and in the Hereafter. The following are some ways that could be followed to achieve our goal on Eid Al Adha. One should take bath on this day. On Eid, men, women and children must dress in their finest attire before going out for performing the Eid prayer. According to an authentic report in Muwatta Imam Malik, Abdullah bin Umar (RA) used to take bath before going out to the Eid prayer. It is unanimously agreed that taking bath on this day is Mustahab. One should not eat anything before going out to perform Eid Al Adha prayer until he comes back from prayer and eat from the ughyyah if he has offered a sacrifice. But if one is not offering a sacrifice then it is allowed for him/her to eat before the prayer. For a Muslim, it is important to follow the teaching of the beloved Prophet (PBUH) to achieve the happiness of Almighty Allah. Reciting takbeer on Eid days is one of the Sunnah of Allah’s Messenger (PBUH). 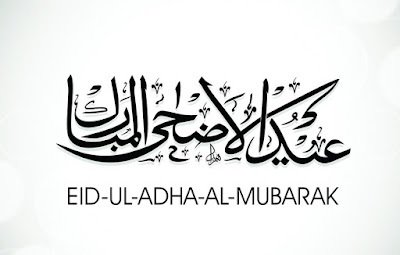 On Eid Al Adha, the takbeer begins on the first day of Dhul-Hijjah and lasts until sunset on the last of the days of tashreeq. After performing the Eid prayer, one should congratulate his Muslim fellows and exchange good wishes between them, no matter what the wording may be. One can say: Eid Mubarrak, Taqbbala Allahu minna wa minkum and other similar words. It is reported that when the Companions of the Prophet (PBUH) met one another on the day of Eid, they would say to one another: “Tababbala Allahu minna wa minkum” (May Allah accept (good deeds) from us and from you). For gaining Allah’s Pleasure and happiness, one should follow this Sunnah of the Prophet (PBUH). The Prophet (PBUH) used to go to prayer from one route and return by another. Varying the route is the Sunnah of the Prophet (PBUH). It is obligatory for the capable ones to offer sacrifice. Those who afford to sacrifice should spend from their lawful sources, because spending from unlawful sources is not accepted. One should also offer lawful animal too, such as sheep, goat, cow, camel or bellow and donate their meats to neighbors and those who are less fortunate. The sacrificed animal is referred to as Udhiyyah and has to meet a certain set of rules, which include being of a certain age and of the best and highest quality available. One should share his/her happiness with his neighbors and less fortunes people to achieve the happiness of Almighty Allah. Offering sacrifice is one of the good act of worship, but donating or distributing their meat to poor, needy and those who are less fortune will not only manifold the reward but also is the source of achieving the Pleasure and happiness of Allah. It is allowed to eat the whole meat of sacrificed animal or to distribute. But it is also the Sunnah of the Prophet (PBUH) to distribute the meat to relatives, friends, neighbors, poor and needy people. It enables one to share his happiness with other and receive countless rewards. Now make Niyah (intention) to make Allah happy! Every one of us loves the day of Eid. It is a day of happiness and joy. It teaches us the real happiness of life and sharing the happiness with others. Eid reunites families and friends. The Islamic Eids are unique in every aspect. To them there can be nothing similar in any other religion or any other sociopolitical system. Besides their highly spiritual and moral characteristics, they have matchless qualities. Eid is a thanksgiving day where we as Muslims, assemble in a brotherly and joyful atmosphere to offer our gratitude to our Supreme Lord. Eid does not mean the individual happiness; it teaches us the real happiness of sharing everything with others in order to gain the real Pleasure and happiness of Almighty Allah. The above-mentioned ways and steps are not only means of one’s happiness but also the sources of gaining the happiness of Allah.